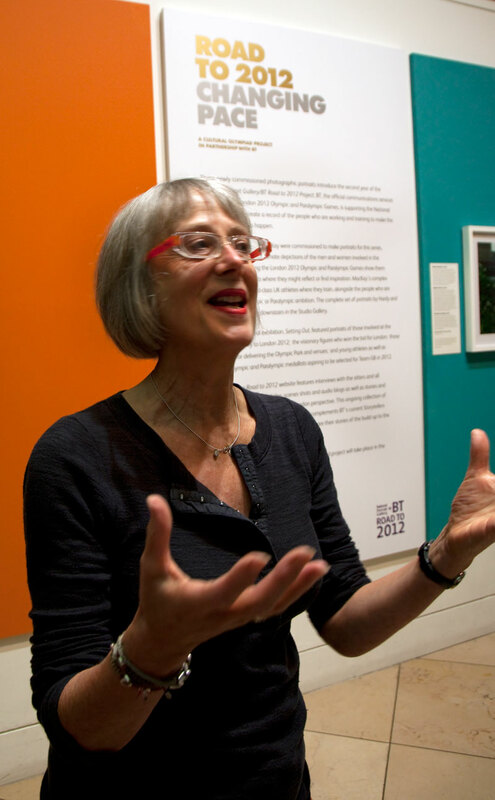 I'm sharing with you a special behind-the-scenes tour of the BT/National Portrait Gallery's 'Road to 2012:Changing Pace exhibition'. This work is year two of a three year project to capture a unique record of the 2012 Olympics and Paralympics and all those who made it happen. Anne Braybon, Commissions manager of the portrait gallery shared with us how the two photographers, Emma Hardy and Finlay MacKay created this body of work. The difficulties, the cold days, even the day she had to take Chris Holme's guide dog for a walk to prevent him jumping in the pool during the photo shoot. I found it very inspirational to share in the behind-the-scenes process of producing work of this standard. 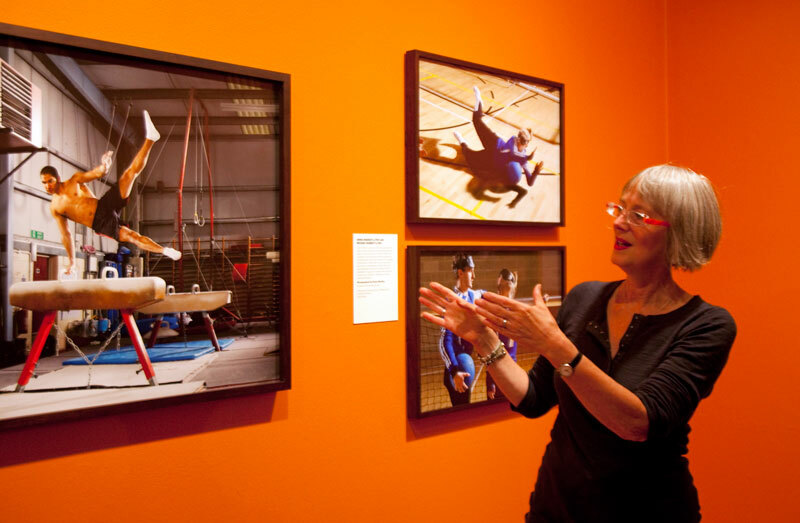 Hardy's intimate depictions of the men and women involved in the preparations for staging the London 2012 Olympic and Paralympic Games show them in locations and pursuits where they might reflect or find inspiration. MacKay's complex scenarios capture world-class UK athletes where they train, alongside the people who are supporting their Olympic or Paralympic ambition. Also there this evening were some of the story tellers. This is a group of artists, writers, poets, photographers who have been commissioned by BT to tell their stories as they relate to the games. You can also contribute. Road 2012 wants you to share your stories about what or who inspires you on the journey to the Olympics and Paralympics Games by uploading your photos to their flickr site here. If you are in London or coming to London you must see this exhibition, I'm picking a winner in the national portraits award out of this work. It is simply superb. I've always been a big supporter of the Australian Paralympics Mo, they are truly inspiring people! This would be a wonderful exhibit to attend. I should think this was inspirational and your photos show the speaker as animated, amusing and completely dedicated. Excellent, Mo. Are the Brits becoming excited about the Olympics as 2012 approaches? When are you going to show your choice? I love the background colour of that wall. Someone was very brave to choose that, as it would not suit all hangings. I reckon the walls of our AG in Sydney has been painted so many times, that they are all paint and no plaster. Mostly 'antique white' though. Which reminds me: I want to book a ticket to see a Picasso exhibit coming soon. Have your galleries gone over to booked viewing times? It is just sweepng major events before it here in Oz. Hard to get my head around, but sure beats queueing. This sounds fascinating. I've been wanting to go to something like this for a while and this exhibition sounds perfect! Great post ! Interesting ! Thanks for taking the time to explain what this is all about. I agree with you, it really is wonderful to hear people talk in an inspirational way. Makes me want to see the exhibition. When does it finish?